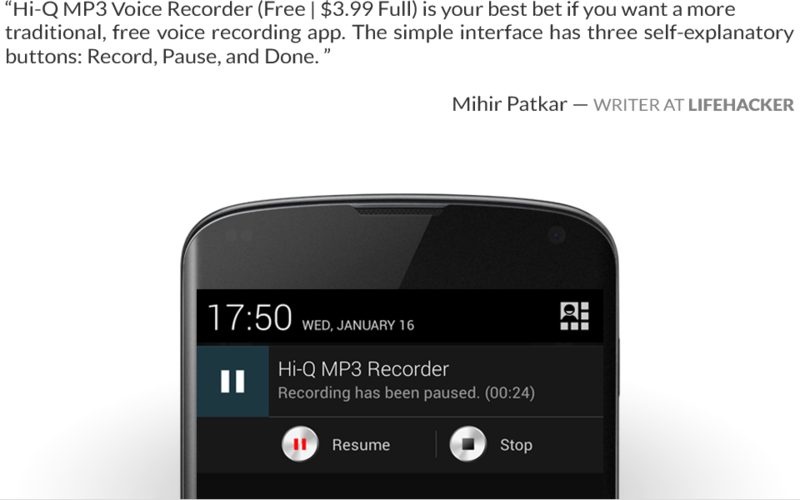 Welcome to the official site of Hi-Q MP3 Voice Recorder! For help and technical support, please consult our FAQ or send an email to help@hiqrecorder.com. To learn about the latest updates to the Hi-Q MP3 Voice Recorder app, visit the Updates page or our Blog.